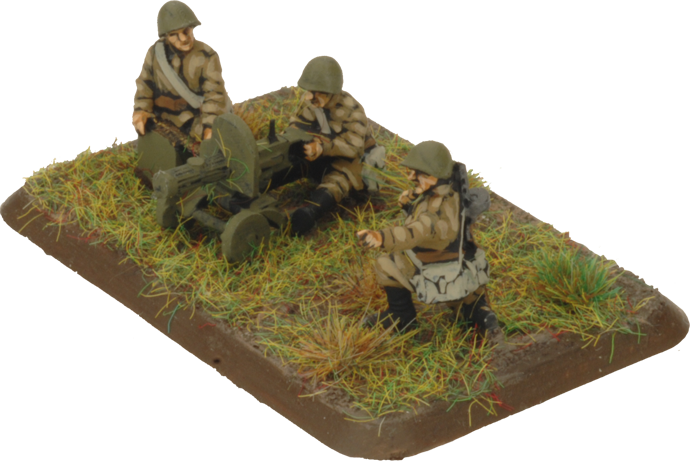 F..50mm Mortar Assistant Gunner (x2). 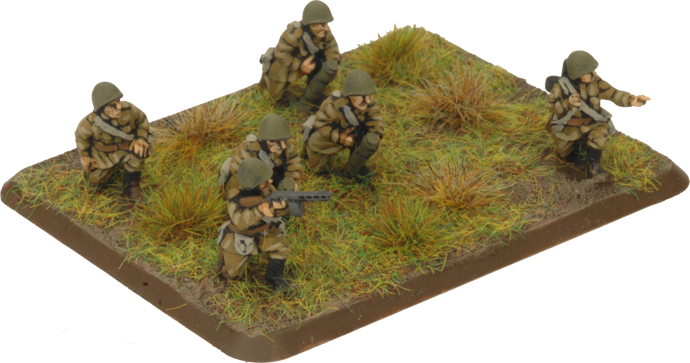 Base the Battalion HQ team or Rifle Company Unit Leaders on a small base with an NCO, an Officer and rifleman. The team faces the long edge. 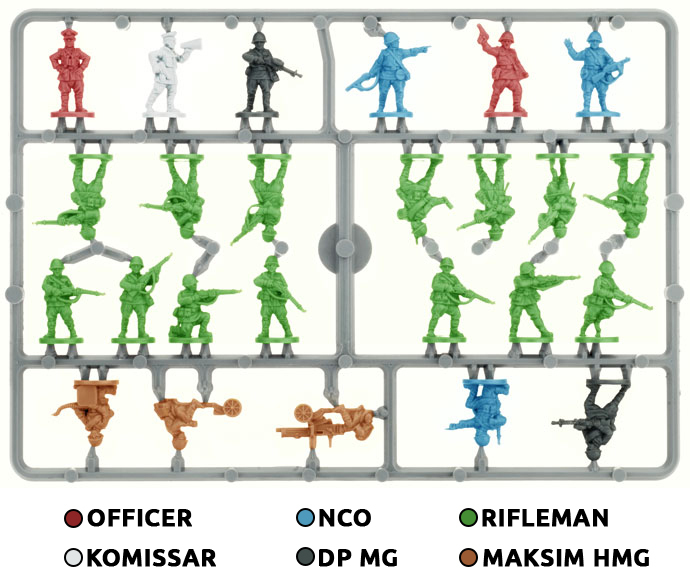 Base the Komissar teams on a small base with a Komissar, rifleman or SMG armed assistant. The team faces the long edge. 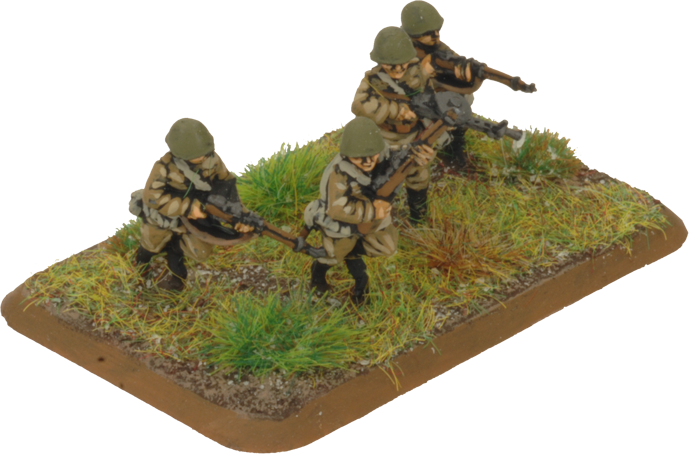 Base weapons teams on a large base with three PTRD AT Rifle Gunners and three PTRD Assistant Gunners. The team faces the long edge. 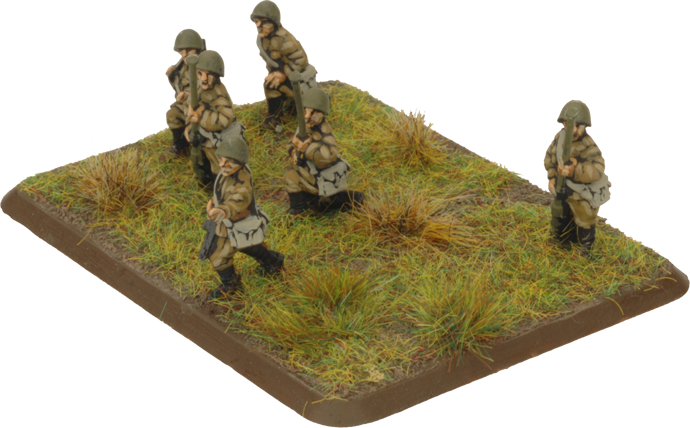 Base 50mm Mortar Teams on a large base with three gunners with their 50mm mortars and three assistant gunners. The team faces the long edge. 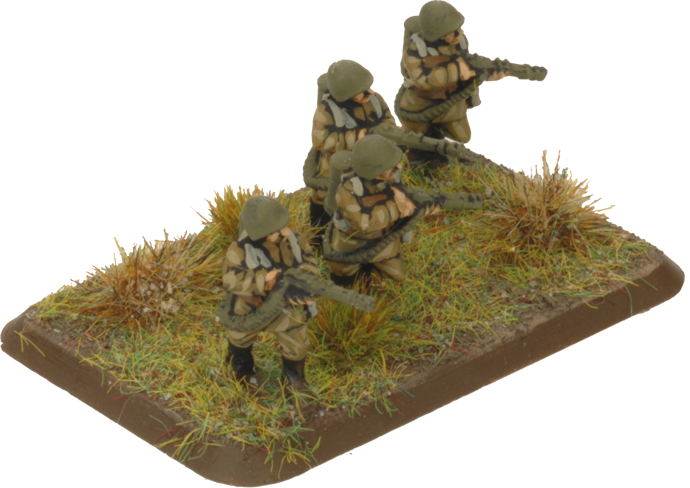 Maksim HMG teams have the HMG gunner and his weapon along with an assistant gunners and loader. 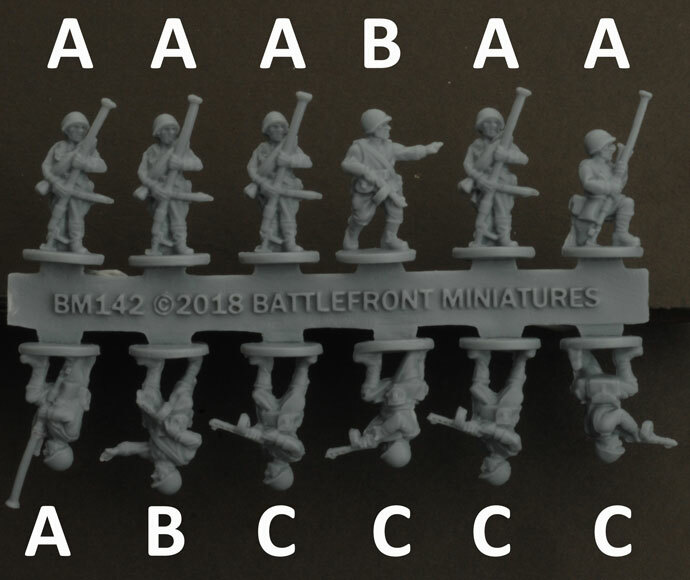 Base Flame-thrower teams on a medium base. 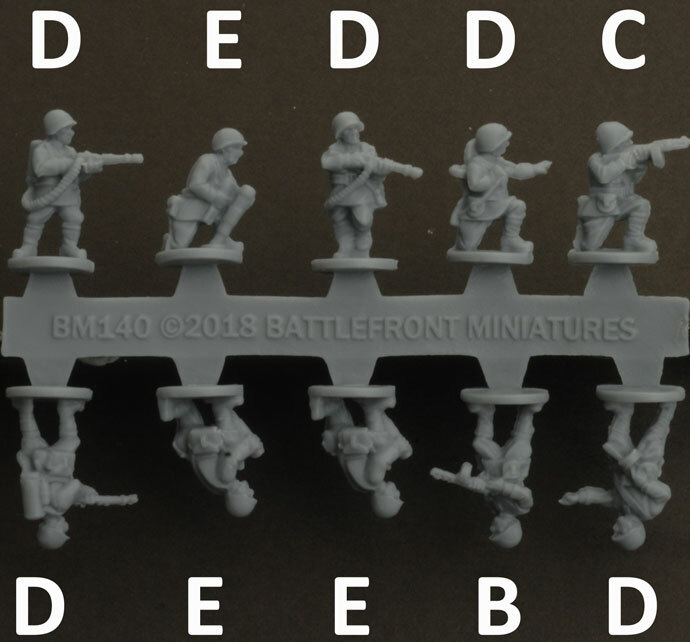 Flame-thrower teams contain an NCO and three flame-thrower gunners. The team faces the long edge.